Xero Accounting: Cash Coding versus Bills - Which Is Better? 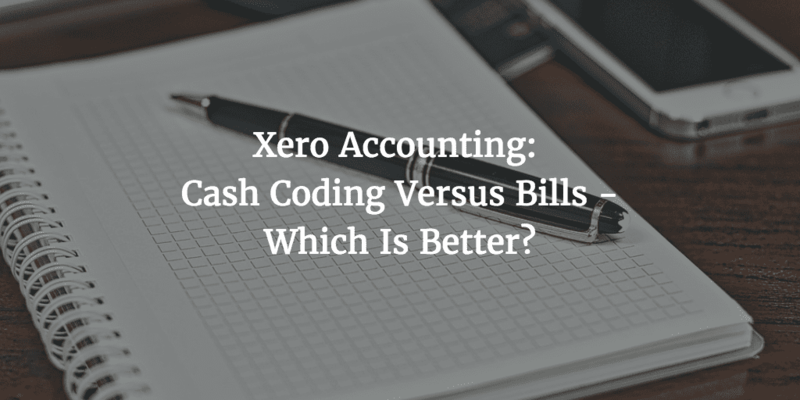 Xero Accounting: Cash Coding versus Bills – Which Is Better? “Cash code” by allocating transactions from the bank feed? The answer can vary depending on the size of the business and the level of reporting required, so let’s talk about these options in more detail first. If you are using the purchases area of Xero to enter bills, then when you come to the bank reconcile screen Xero will suggest bill payments that match the bank transaction. 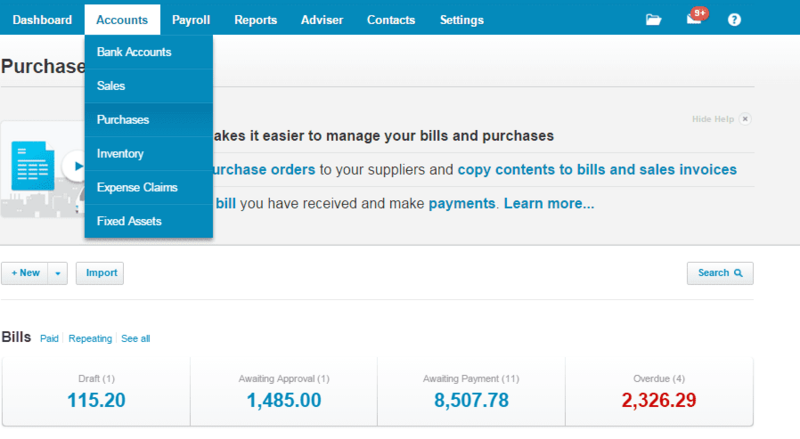 It also makes it easier to manage cashflow as you have a list of upcoming bills for payment within Xero. So how do I create ‘bills’ in Xero? How do ‘cash coding’ and creating ‘bills’ in Xero compare? Creating ‘bills’ in Xero will provide you with better data, cashflow management and more bill payment automation options, but cash coding is faster. With a sole trader or small business where the business owner is involved in the day-to-day bookkeeping cash coding is generally fine. 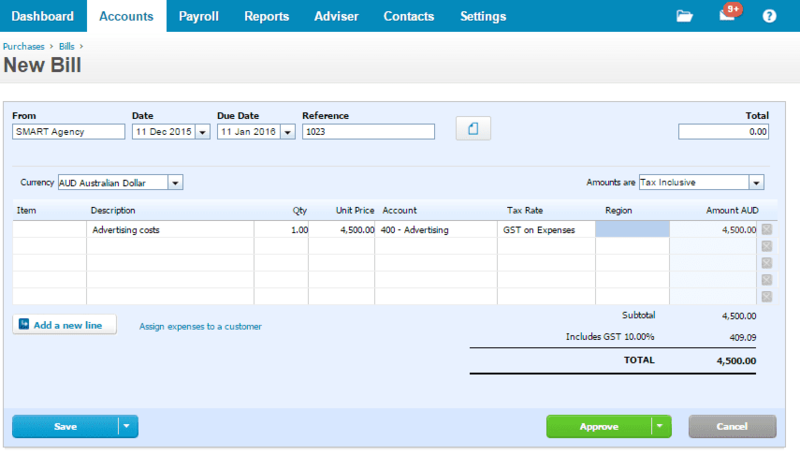 You will still have reasonable reporting in Xero and it will save time and money. Once a business grows and more detailed reporting or cashflow management is required it is time to start using the bills area of Xero. A business owner should be focusing on high value tasks like strategy and talking to customer not entering bills, so this task is best delegated to a team member or outsourced to a bookkeeper. Where do Xero Add-ons like Receipt Bank fit in? There are a number of Xero Add-ons designed to manage bills and expenses. Receipt Bank is a popular tool which extracts data from receipts or invoices payable and creates a draft bill which can be uploaded to Xero. Other tools which can be used to manage receipts include Shoeboxed, Dropbox or Google Drive. Receipt Bank’s integration with Xero means that draft bills are created in Xero based on data in Receipt Bank, but if you are cash coding then there is no reason to create draft bills. Receipt Bank could still be useful as a file storage method if cash coding. The Receipt Bank to Xero integration can save lots of time if you are using the bills area of Xero. Receipt Bank will read data from the receipts and use this to create a draft bill which is ‘pushed’ to Xero. You approve the bill in Xero and can then complete the ‘batch payment’ process in Xero to complete the transaction. Should I attach receipts in Xero? I don’t want to pay $16.95 per month for Shoeboxed or $33 per month for Receipt Bank. What other options are there? The advantage of both Shoeboxed and Receipt Bank is that they extract data from your receipts which makes it easy to sort and tag. If you are good at filing and naming your receipts then Xero File Manager, Google Drive or Dropbox will also be fine. In deciding whether to pay for a tool like Shoeboxed or Receipt Bank I would look at how much time they save you. 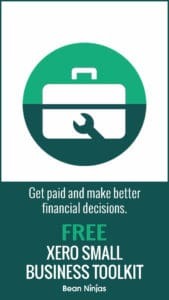 If they are going to save you an hour or more per month then they have probably paid for themselves. So Cash Coding or Bills? Creating bills using the purchases function of Xero results in better reporting and cash-flow management than cash-coding, however it is more time consuming and expensive. For many sole traders and micro-businesses the benefit of creating bills is outweighed by the cost. In these instances cash coding makes more sense. Ultimately, growing businesses should aim to use the bills function, but should be aware of the additional costs of doing so. If you need any help with your bill payment process, contact us and we’ll be happy to help.